Trim the bottom few inches off the kale stems and discard. Slice the kale into ¾ inch ribbons. You should have 4 to 5 cups. Place the kale in a large bowl. Mince the garlic and ¼ teaspoon of salt into a paste in a small bowl. Add cheese, oil, lemon juice, pinch of salt, pepper flakes, and black pepper. Whisk for 2 minutes to combine. If making homemade breadcrumbs, toast bread until golden brown and dry throughout, then crumble. Let the salad sit for 5 minutes, then serve topped with the bread crumbs, additional cheese, and a drizzle of oil. 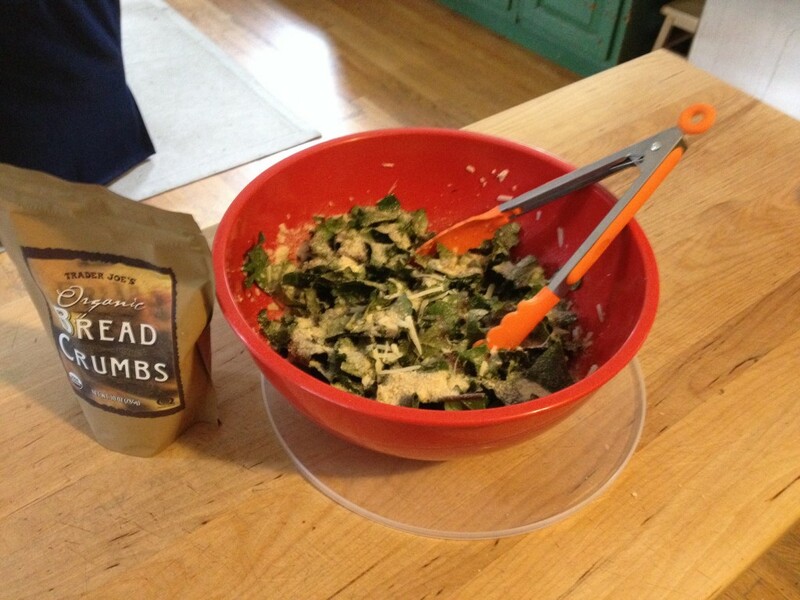 This entry was posted in Just for Fun, Recipes and tagged Farm Share, kale on June 11, 2014 by amywebdesign.